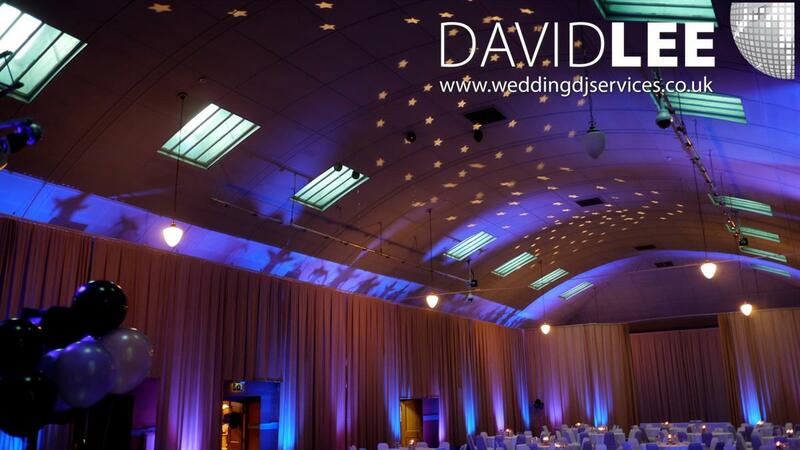 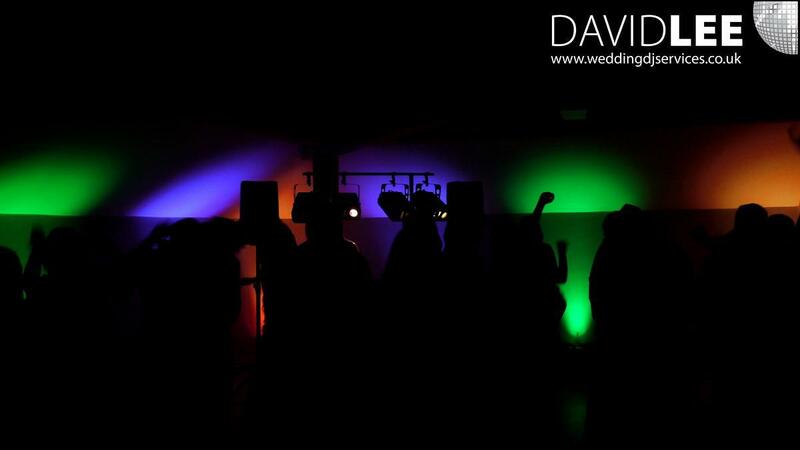 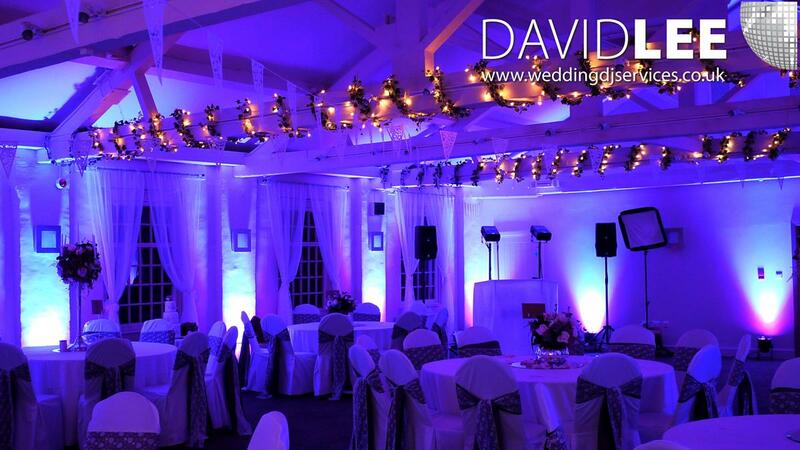 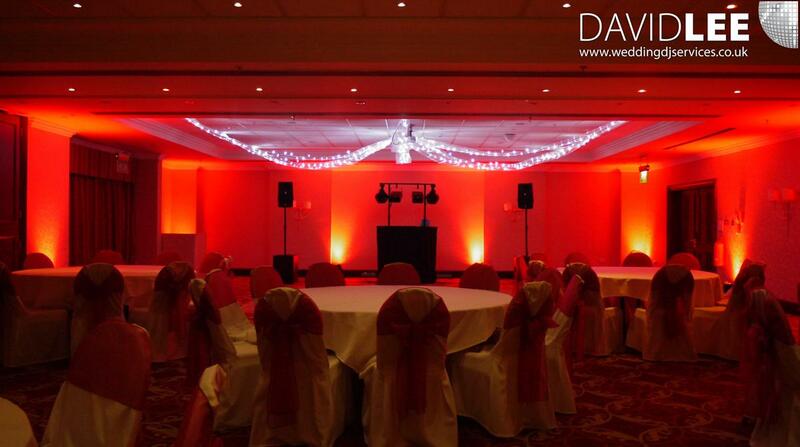 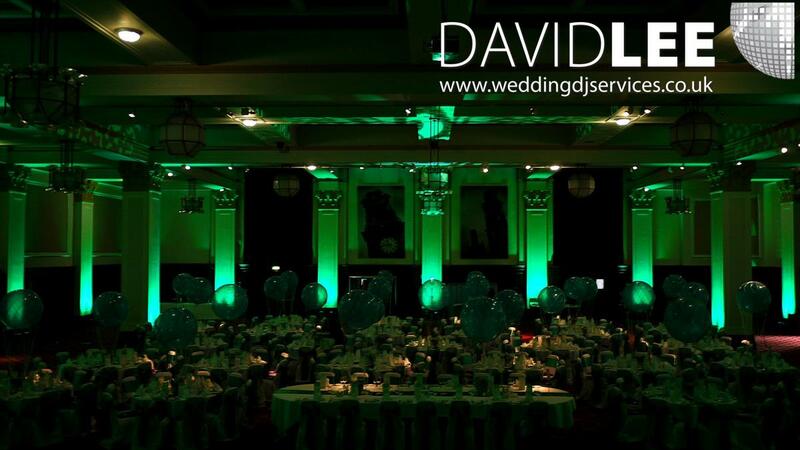 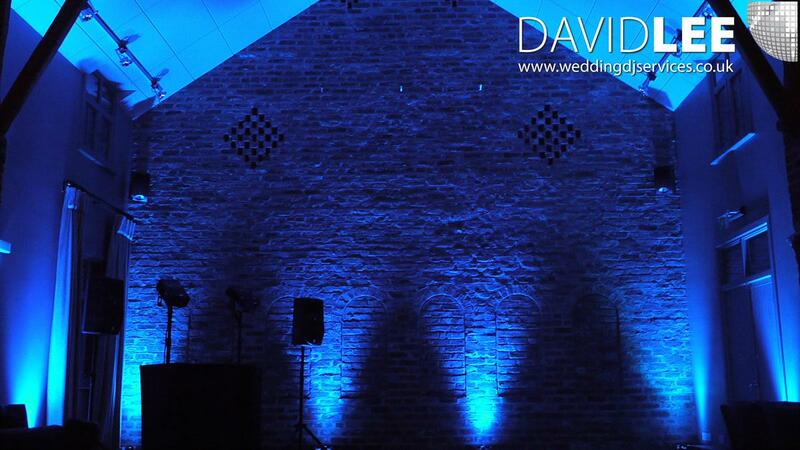 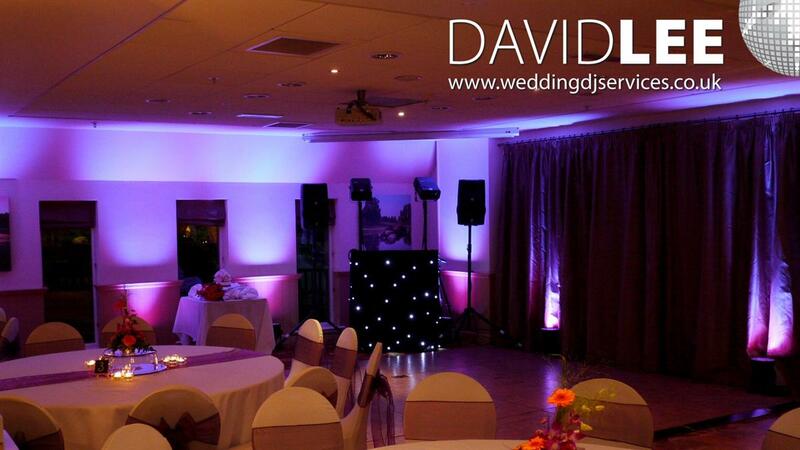 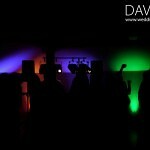 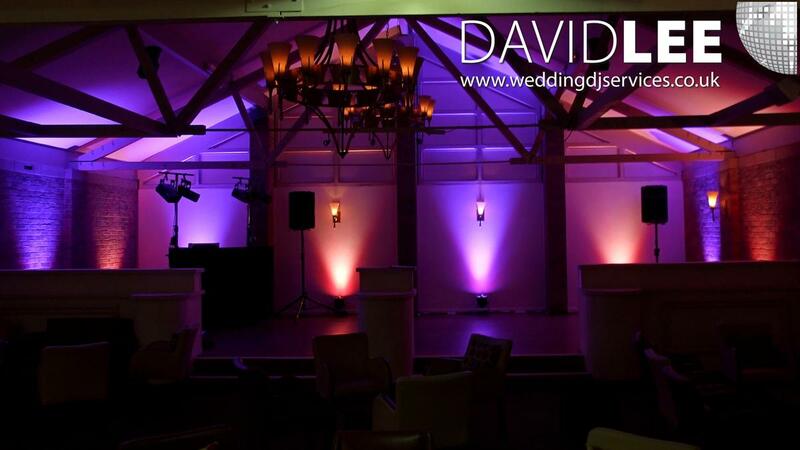 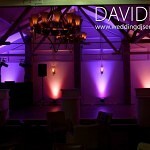 Uplighting is also known as mood lighting, up-lighting and venue lighting, but basically it’s all the same. 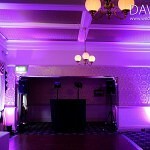 Uplights is where I install some lighting units around the edge of the function suite, before you arrive and set the colours to your colour theme. 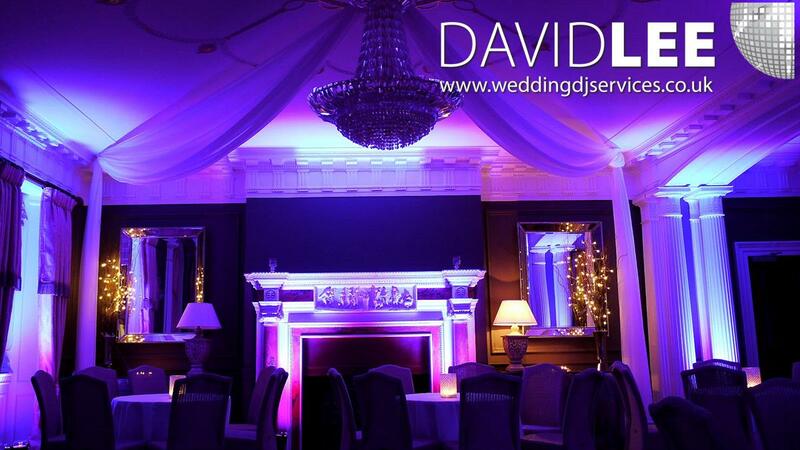 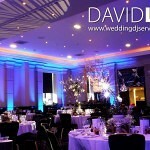 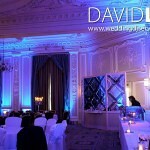 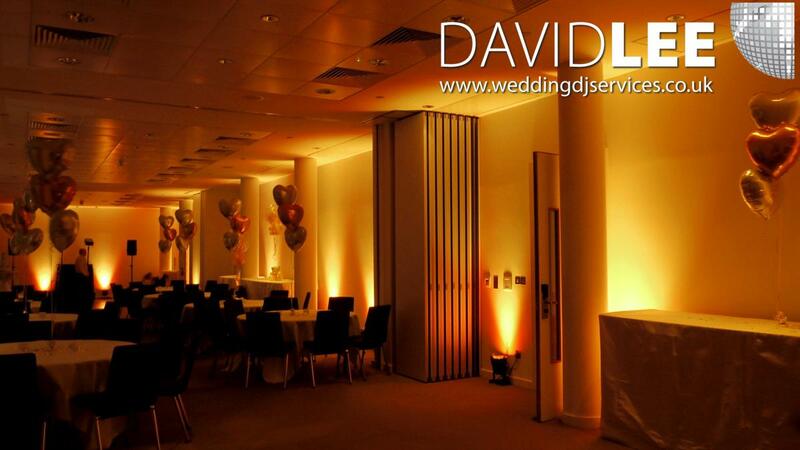 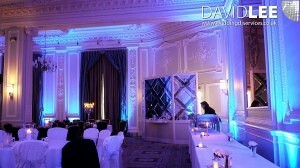 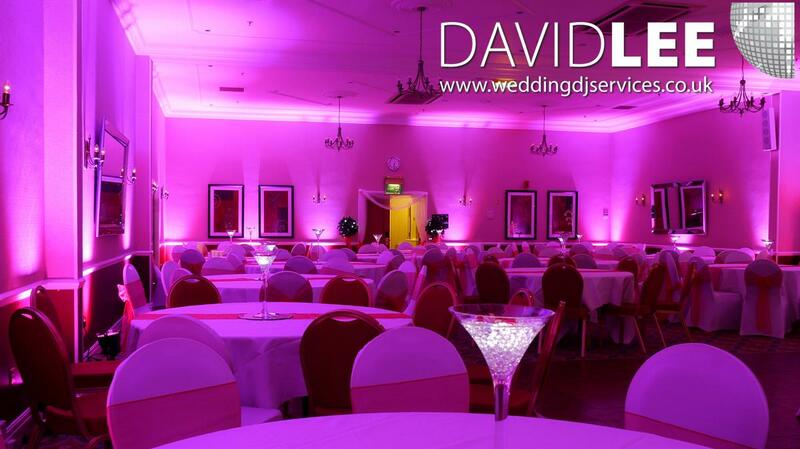 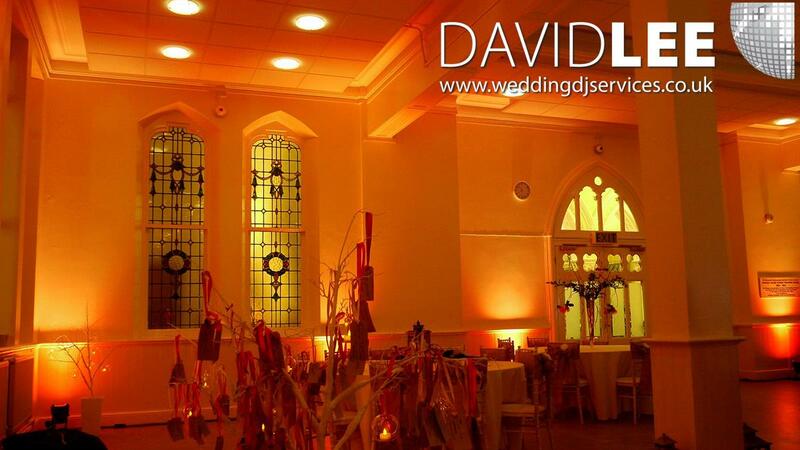 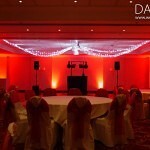 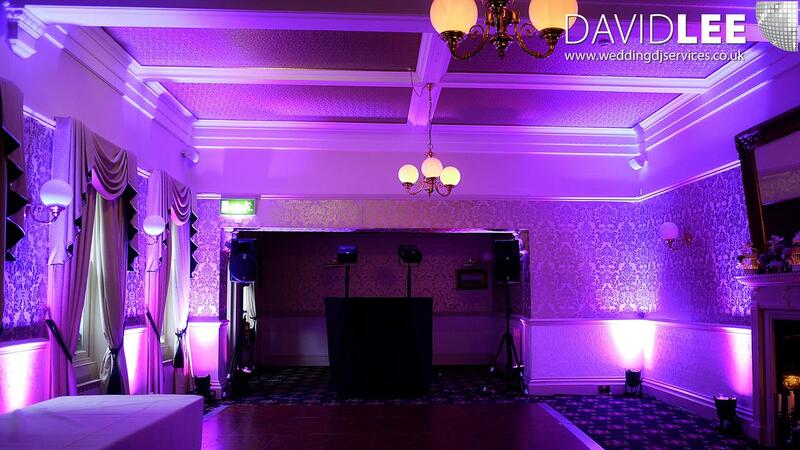 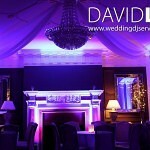 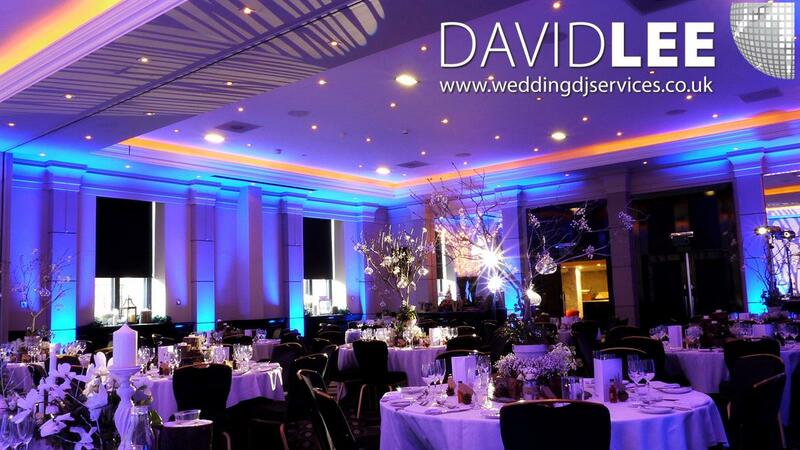 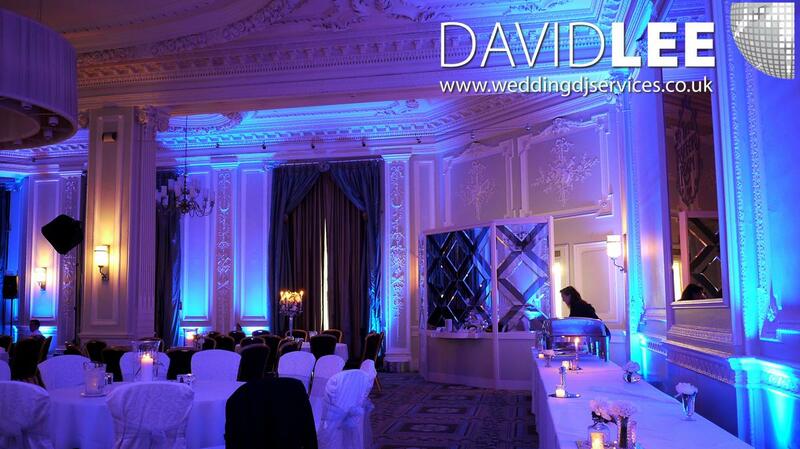 In the right venues, it can really make a an amazing difference, changing a nice room into a WOW room. 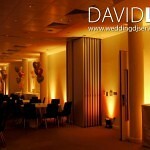 It is all also one of the most cost efficient way to change the look and feel for the room. 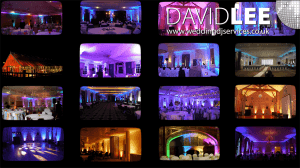 I have 3 main packages – Full Room – Mini – Micro lighting packages. 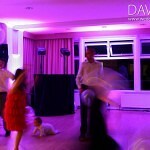 All day or Just the evening….? 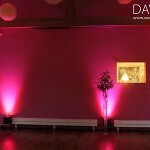 Some people have them on all day, this creates a nice polite backdrop for the meal etc, but then in the evening with the house lights on low, it really pops, and transforms the room. 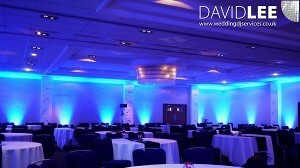 Other people have the Venue lighting installed in the morning but don’t turn them on until after the room turn around in the evening. 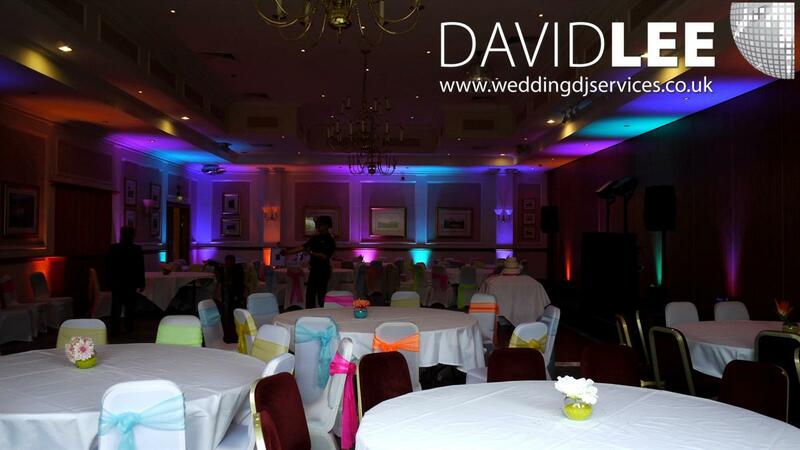 This helps create a really fantastic look for their Wedding guests, making the room truly something different for all the guests. 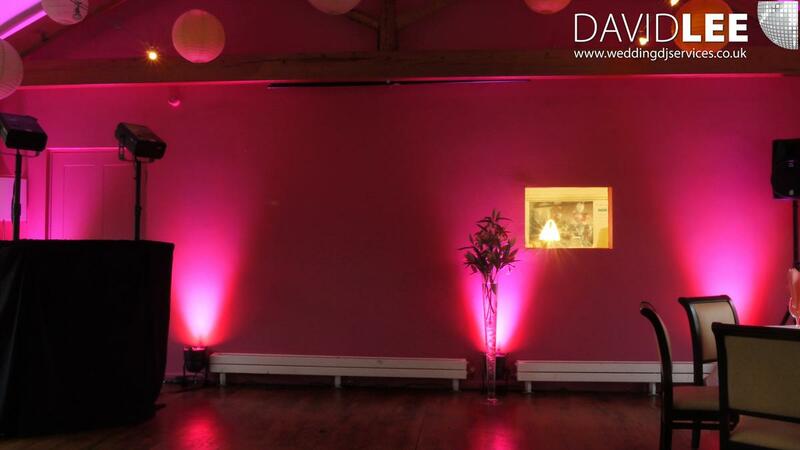 I also offer Micro & Mini Packages to help highlight certain areas and features without having the whole room bathed in your colour. 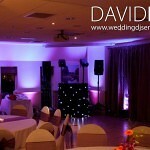 These are installed in the evening with the disco. 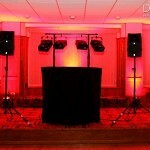 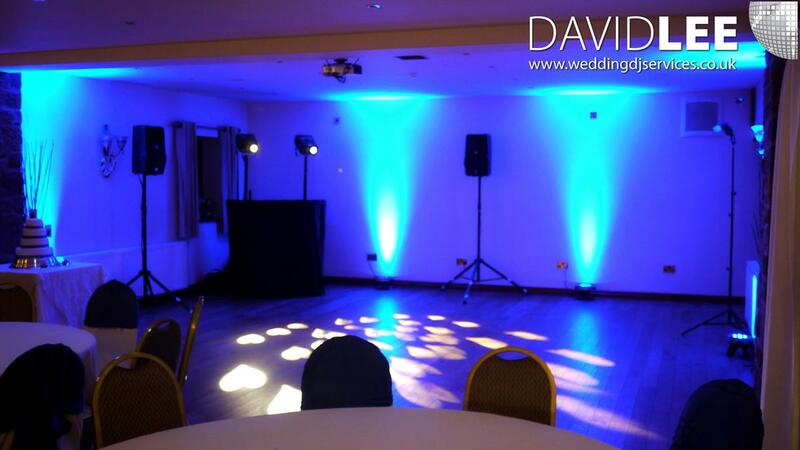 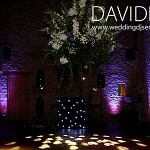 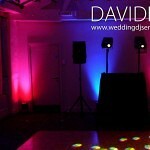 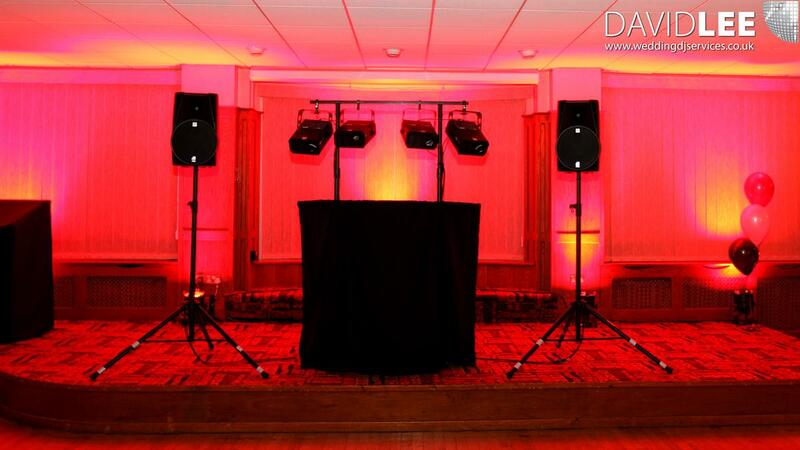 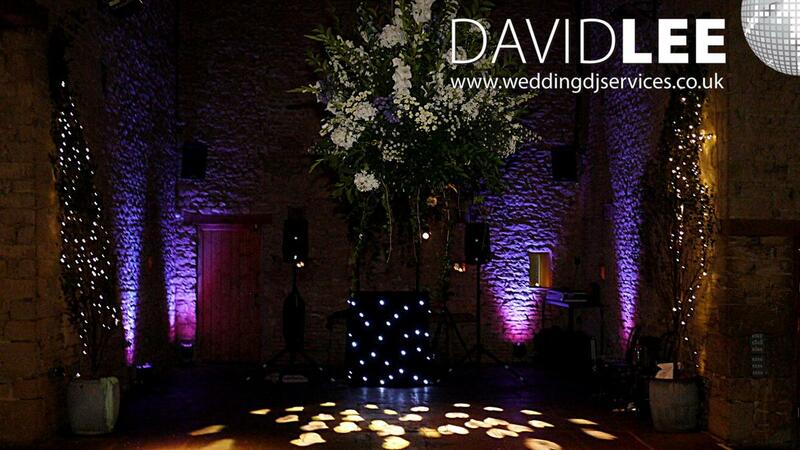 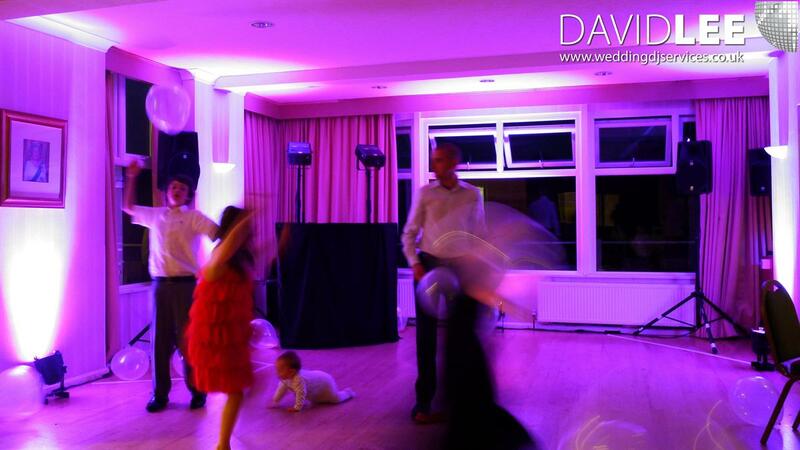 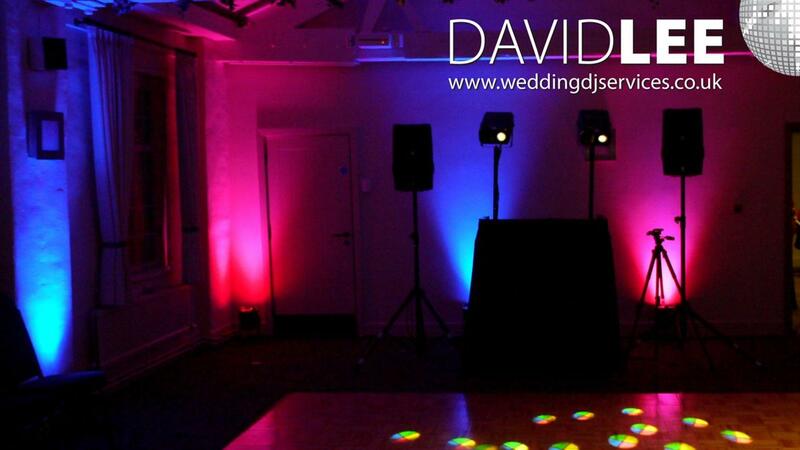 These can really help to create a party area around the dance floor – See below. 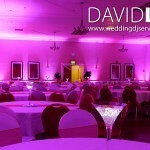 You can have the whole room one 1 colour, alternate colour, or multiple different shades. 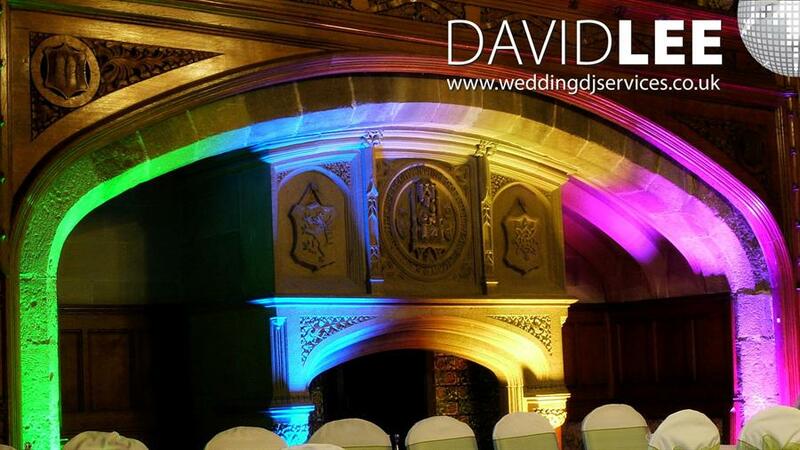 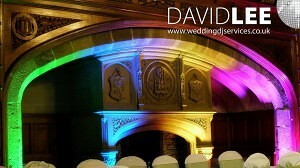 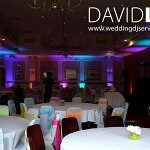 You can have different areas on different colours, or the whole room on multi-colour. 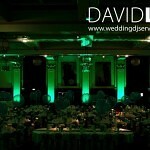 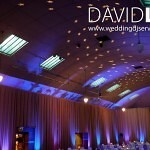 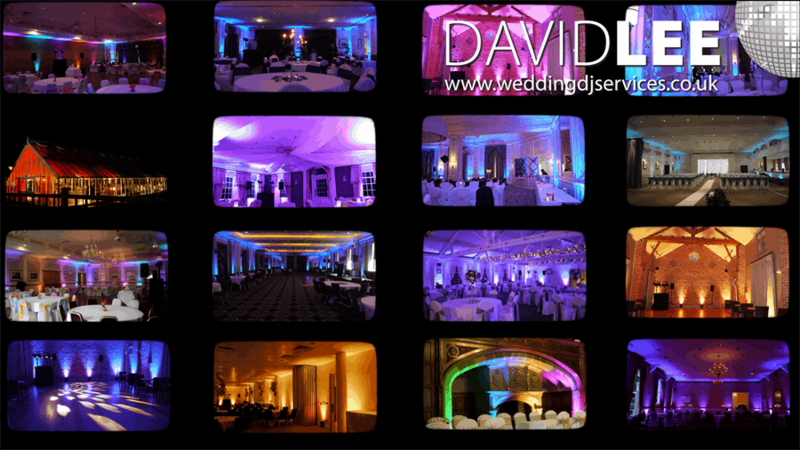 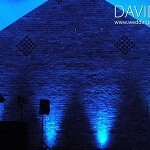 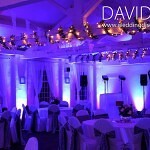 See the galleries below for various example of all the different lighting packages with different colour and variations. 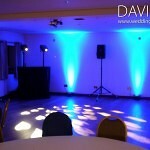 I do have a dedicated uplighting Hire website here . 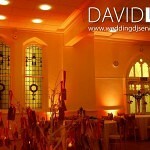 So pop over have a look around, and if you have any questions about any of the services, please do get in touch.